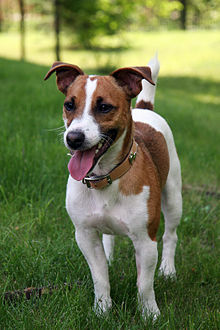 The Jack Russell Tarrie is a smaw tarrie that haes its oreegins in tod huntin. It is principally white-bouked an smuith, reuch or braken-coatit but can be ony colour. This page wis last eeditit on 18 Januar 2018, at 21:58.